I want to be Discussion Director this time! Literature Circles: A group of students reading a novel and engaging in discussion as they respond to the novel with critical and reflective thought. I have used Literature Circles for a few years now and really enjoy the way students react and respond to novels through different roles. The past two years I have used Andrew Clements novels in Literature Circles with my students. When using Andrew Clements novels for your students to engage in Literature Circles, you may want to start by using Frindle with the whole class, which also happens to be Clement’s first novel. By reading this to or with the class, you can walk the students through the different roles they will engage in when responding to the novel as well as the expectations. The students then experience doing each role together on the same novel before breaking up into smaller groups. It is also a good idea to either show the students a video of a Literature Circle in action or I also use the “FishBowl” method to show students the expectations when engaging in Literature Circles. The “FishBowl” method, which is basically modeling, includes myself and a few of the students sitting in a circle with the rest of the class standing behind us in an outer circle. They observe our interactions and listen to the way we share with one another. Clements’ other novels are easy to differentiate for by reading readiness and interest. Students then choose their second Clements novel and organize themselves into groups. They also create a schedule for when which chapters and role sheets are due. These are few examples of student’s Literature Circle Role Sheets based on Andrew Clements novels. This is a Vocabulary Enricher Role. This allows students to explore the rich vocabulary used in the novel. This is a Discussion Director Role. 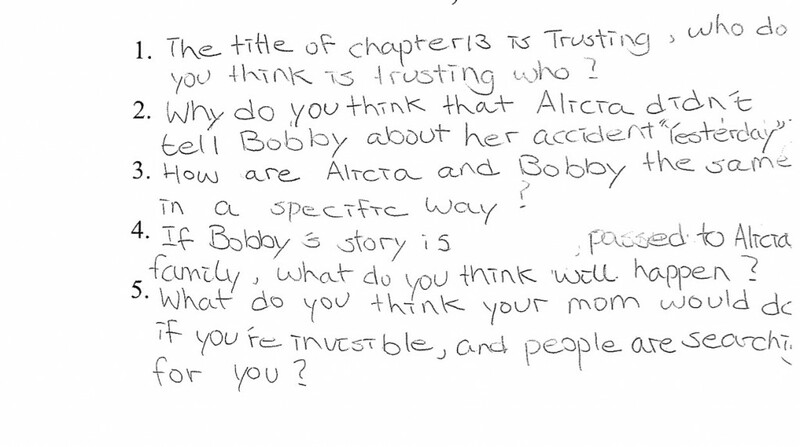 This role allows students practice in asking questions about a novel that engages students in discussion, and doesn’t lead to one word answers. This is a Connector Role. Students can relate to the novel through ‘text to self’, ‘text to text’, or ‘text to world’ connections. And two examples of Illustrator or Creative Role. This role allows students to respond to the novel in any creative way they choose. 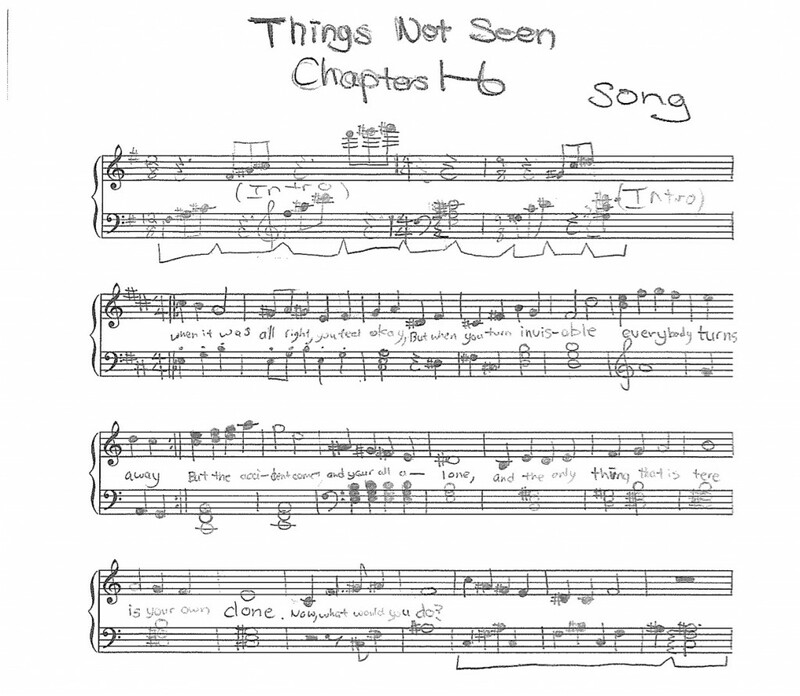 These two examples are from students who were inspired to write songs based on the chapters they read. Literature Circles can be designed and implemented in many different ways. I do however urge teachers to use some method with their students in the classroom. You will find students begin to think and discuss the books they read with more enthusiasm and reflective thought, rather then just reading it and putting it back on the shelf before grabbing another one. 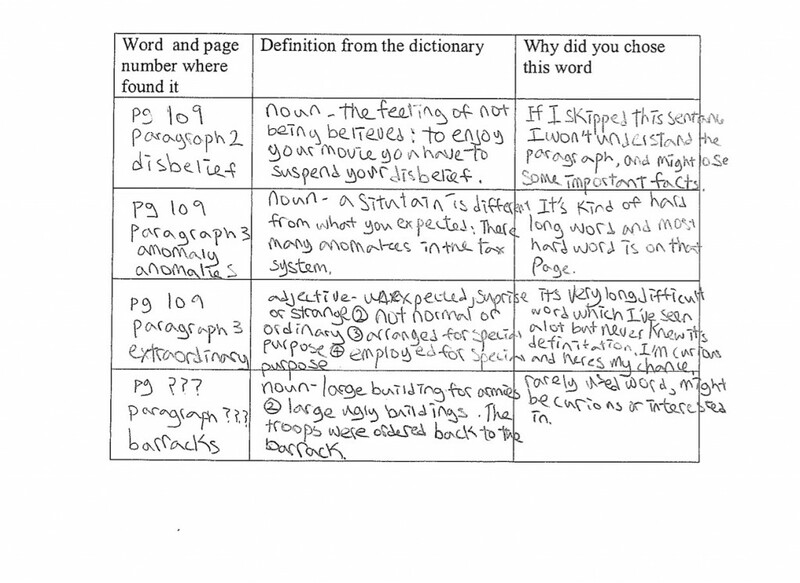 This entry was posted in Reading, writing and tagged differentiation, literature circles, reading. Bookmark the permalink. One Response to I want to be Discussion Director this time!